Here is my newest Celtic Knot design. 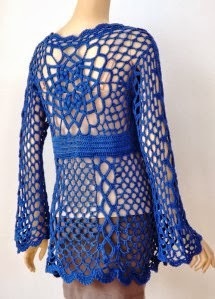 I entered it in the annual CGOA (Crochet Guild of America)’s Design Competition in the Fashion Category. It won second place! 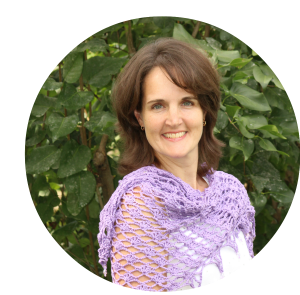 I was thrilled to hear this news from my crochet designer friends who were attending the Knit and Crochet Show in NC last weekend. A list of all the winners and photos of all of the entries can be found on Doris Chan’s website: www.dorischancrochet.com. There are some wonderful designs showcased there and a great deal of talent represented. A big THANK YOU goes out to Doris for all she did to make the Design Competition a success. 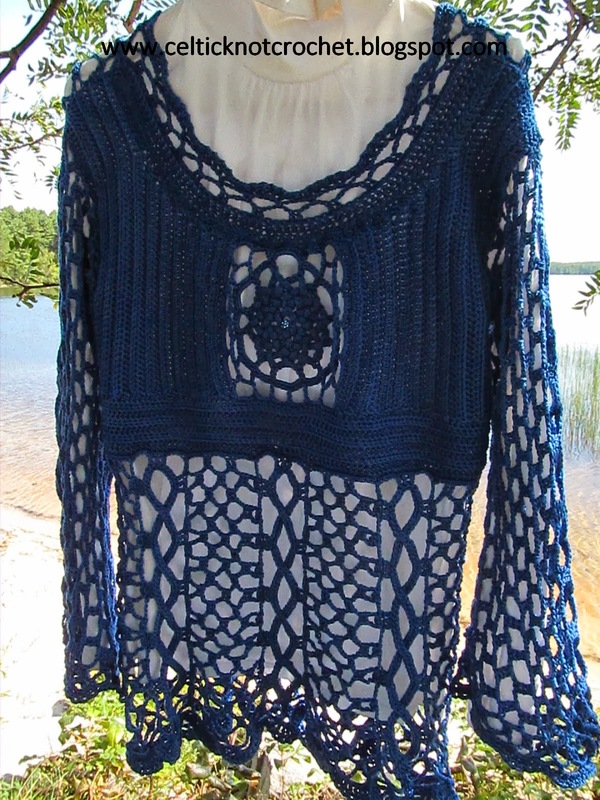 I named this design after the Connemara region in Ireland that is filled with beautiful sparkling lakes. This is one of my favorite colors of blue. I crocheted with the Marina Blue colorway from the Key West Karibbean Kotton found at The Sassy Skein – www.sassyskein.com. (This is the same yarn I used for the Kerry Shrug – see published designs list on page to the left for where to find its pattern and photos) This yarn has a lovely sheen and being cotton, can be appropriate for summer wear. Another big THANK YOU goes out to Mary Bonnette (owner of The Sassy Skein) for quickly sending me more yarn even while she was on vacation. Thankfulness again . . .
← Blue Ribbons at the Fair for Crochet Coral Reef! This is truly beautiful! Congratulations on your award – it is well deserved. congratulations on your success. It's very well deserved. Do you have plans to sell the pattern? I would love to make this for my wife as an anniversary gift.